Women Justices of the U.S. Supreme Court - May 3, 2017 ~ The History Girl! On Wednesday, May 3 at 7:00 pm in Lambert Castle, the Passaic County Historical Society welcomes back Trish Chambers, as she presents "Women Justices of the U.S. Supreme Court." 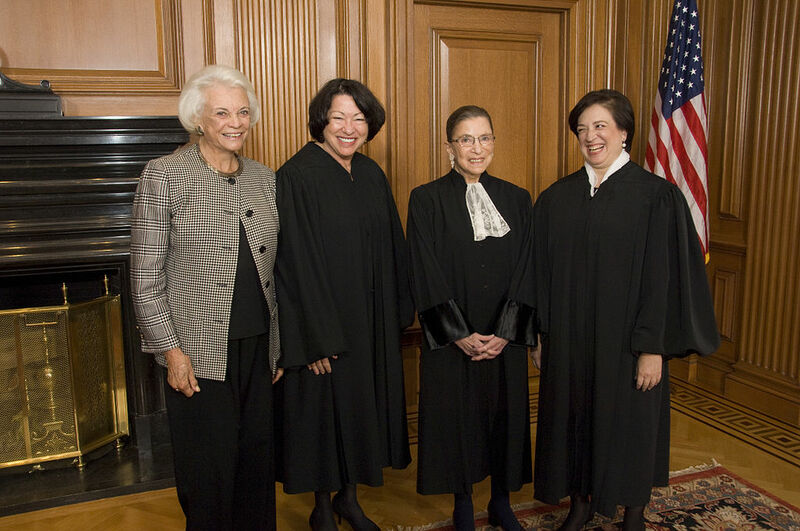 Four magnificent women have achieved the position of Supreme Court Justice to date. Join Trish Chambers Productions in a fascinating introduction to these accomplished jurists. This program also introduces the audience to the traditions and history of the Supreme Court. The program is free to the public and follows a business meeting of the Historical Society. The four women who have served on the Supreme Court of the United States. From left to right: Justice Sandra Day O'Connor (Ret. ), Justice Sonia Sotomayor, Justice Ruth Bader Ginsburg, and Justice Elena Kagan in the Justices' Conference Room, prior to Justice Kagan's Investiture Ceremony on October 1, 2010.